Having additional medical coverage in the form of Medigap or Medicare Advantage is a prudent decision, even if you’re on Medicare and in good health. If you currently have one of these supplemental plans but haven’t used them, it’s tempting to try saving money by not renewing them year after year. This can end up being an extremely poor decision if you suddenly fall ill because you’ll no longer have adequate protection in the face of significant out-of-pocket expenses. A wide variety of Medicare supplement plans are available, so keep reading to determine if you need to purchase one in the forthcoming year. This is an area where Medicare Part A really shines. It provides you coverage for up to 60 days of inpatient care per year for a one-time cost of $1,288. You shouldn’t need extra protection, as the average length of a hospital stay in the United States is less than five days. Stays of over 14 days are quite rare. Even if you have a serious medical incident, such as a heart attack, you are unlikely to remain in hospital for more than a week. Medicare Part B covers 80 percent of approved charges for blood tests, doctor’s office visits, CT scans, ER visits, MRI scans, and X-rays. It’s important to note that Medicare protects you from any possible extra charges in hospitals. For example, you could have an MRI, and Medicare receives a bill for $3,000. Medicare may decide the MRI should cost no more than $1,000, which means you pay $200 while Medicare pays $800, with the other $2,000 disregarded. 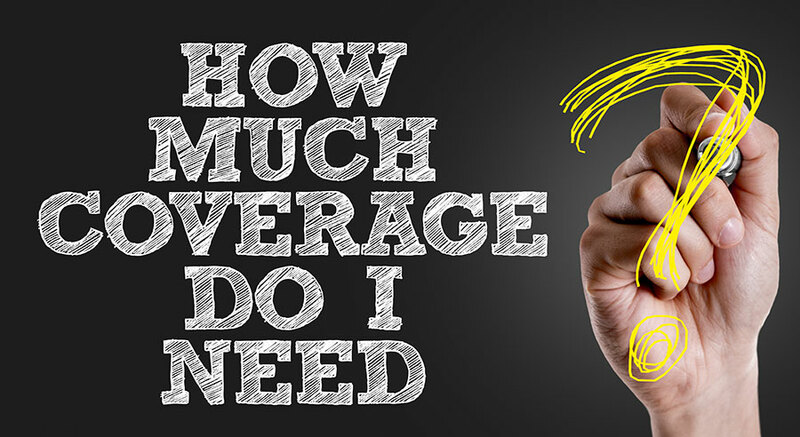 So, Is Extra Coverage Necessary? Yes, because your health is unpredictable, and it only becomes more uncertain with the passage of time. It is highly recommended that you look for a suitable Medigap/Medicare Advantage policy if you can afford it. It offers a safety blanket should you fall seriously ill; without it, the out-of-pocket expenses could be overwhelming. It’s also important to find the right supplemental insurance because certain policies only cover Medicare deductibles and the 20 percent coinsurance. In addition, this extra insurance only pays the health care provider what you would pay if you didn’t purchase the policy. Put more simply: your out-of-pocket expenses need to be higher than the cost of a supplemental policy in order to save money. When you purchase a Medigap plan, the cost is on top of what you pay for Part B. According to a Weiss Ratings survey of health insurers from 2014, the most expensive Medigap option was Plan F with an average cost of over $1,900 a year while Plan K was less than half the average price at just over $900. If you have purchased a Medigap plan this year, it’s probably a mistake to drop it next year. If you buy a Medigap plan now and drop it later, or you skip it altogether when you’re initially eligible, it could be difficult to get a plan later on. At the very least, you can expect to pay more. You can purchase Medigap plans during the six-month Open Enrollment Period (OEP), which begins the month you turn 65, and you can apply earlier to avoid a gap in coverage. During the OEP, insurers must give you the best available rates, and they cannot turn you down. If your private group health insurance plan, Medigap plan, or Medicare Advantage policy ends, you have 63 days to make the most of your Guaranteed Issue Rights to purchase a new Medigap plan. In the event you miss these windows, and you need a Medigap plan later on, it will be difficult to find an insurer willing to sell you a plan at the best price possible. In addition, insurers can increase your payment based on your health status, and they can make you wait up to six months before the plan covers any pre-existing conditions you may have. Medicare Advantage, also known as Part C, may offer you better value than Original Medicare in some cases. Private insurers offer these government-regulated plans, which must offer a similar level of coverage to Parts A and B. A high proportion of Part C plans include Part D prescription drug coverage; this is an add-on if you choose Original Medicare. Here are a few scenarios where Medicare alone isn’t enough and Part C coverage becomes necessary. An estimated 80 percent of Part C plans include prescription drug coverage in the price. Original Medicare users pay an extra $34.10 per month on average for Part D in 2016, so check the difference in price between the plans before making a decision. With Original Medicare, you must pay a percentage of the cost as you use the services, whereas Part C plans have an annual out-of-pocket limit maximum of $6,700. Some plans have a much lower limit. Part C can cover dental, vision, nursing home care, and assisted living facilities. Never adhere to any “hard and fast” rules about medical coverage as a senior. Take a close look at your medical history, your lifestyle, and your budget before deciding on the kind of protection you want and need. In some cases, Original Medicare may be enough, but in cases where it isn’t, you must choose extra insurance for peace of mind.